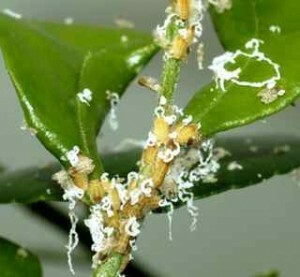 The U.S. Department of Agriculture’s (USDA) National Institute of Food and Agriculture (NIFA) announced $21.8 million in available funding to combat and manage citrus greening disease, also known as Huanglongbing (HLB)Huanglongbing (HLB), which has reached epidemic proportions in the United States. The funding is made possible through NIFA’s Specialty Crop Research Initiative (SCRI) Citrus Disease Research and Extension Program (CDRE), authorized by the 2014 Farm Bill. The goal of the Citrus Disease Research and Extension program is to combat citrus diseases and pests, which pose imminent harm to United States citrus production and threaten the future viability of the citrus industry. CDRE provides support for the dissemination and commercialization of relevant information, techniques, technologies, and solutions discovered through the funded research and extension activities. Pre-applications may only be submitted by federal agencies, national laboratories, colleges and universities, research institutions and organizations, private organizations or corporations, state agricultural experiment stations, Cooperative Extension Services, individuals, or groups consisting of two or more of these entities. Pre-applications are due on May 12, 2017. See the request for applications for details. NIFA has invested more than $57 million through the Citrus Disease Research and Extension Program since 2014. Among recent projects, Clemson University researchers are using naturally HLB-resistant citrus trees to develop new resistant varieties using the CRISPR-Cas9 genome editing tool. In another project, the Regents of the University of California project will design and identify HLB bactericides based on both natural and nanotechnology approaches.